Put the "ooh-la-la" in your French vocabularySure, you can parler francais. You can even converser en francais. But can you also jacasser (chatter), radoter (ramble on), cancaner (gossip), and faire du boucan (make a racket)?Vive les verbes francais! 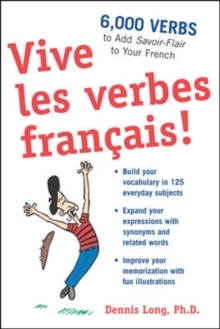 is packed with thousands of verbs and verbal phrases conveniently grouped by theme and subject.